I am interested in 11334 Linnet Road, Weeki Wachee, FL 34614. Brand New Construction, You can pick out the upgrades and finishes in your New Home. 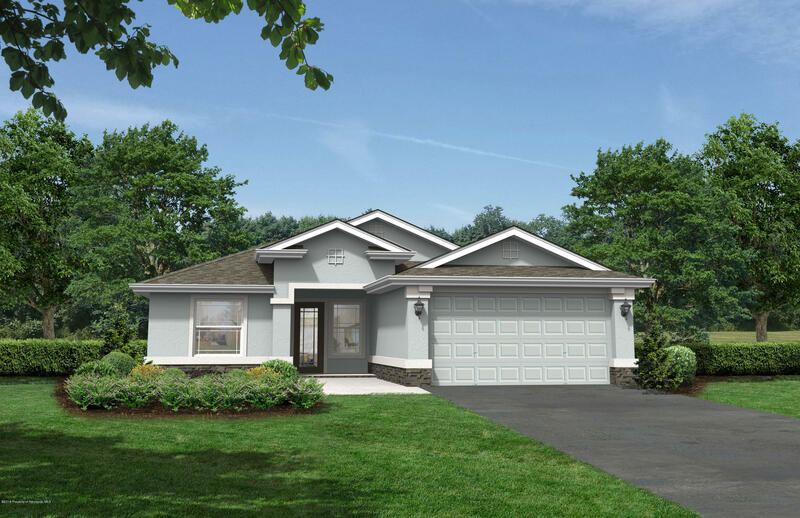 The Kenai Model home is a 4/2/2 home boasts a large open Great room with 9 Foot ceilings. The Kitchen has Wood Cabinets with Solid Surface Countertops and Stainless steel Appliances. Kitchen also includes a Breakfast Bar and Nook. The Master Suite includes a Tray ceiling , the Master Bath includes a walk in closet, walk in shower and a Double sink vanity. With its Laundry room and 2 car Garage you will have plenty of storage. The home is Beautiful, Stunning and Rich and extremely energy efficient. The home list of standard features and included upgrades are too numerous to list here. Floor Plan, features may change. Picture is rendering only.